In a bid to boost skill training and entrepreneurship in the remotest corners of the country, Dharmendra Pradhan, Minister of Skill Development and Entrepreneurship, Petroleum and Natural Gas (MSDE) today announced comprehensive reforms for Jan Shikshan Sansthan (JSS), to further strengthen the skills ecosystem benefiting those in the underprivileged sections of society. The announcements were made today during the National Conference for Jan Shikshan Sansthan (JSSs) which was held today at the AICTE Auditorium in New Delhi; and saw a gathering of more than 700+ people from JSS across India. Formerly under the Ministry of Human Resources Development, Jan Shikshan Sansthan has been transferred to the Ministry of Skill Development & Entrepreneurship in 2018. Today’s conference saw the release of new guidelines, aligning the JSSs to the National Skill Qualification Framework (NSQF). This marks an important step towards the convergence of all skilling activities under the aegis of one ministry, bringing in transparency and accountability to the entire skilling ecosystem. Jan Shikshan Sansthan (JSS) has been instrumental in skill training and introducing avenues of entrepreneurship among the socio-economically backward and educationally disadvantaged groups such as neo-literates, semi-literates, SCs, STs, women and girls, slum dwellers, migrant workers. 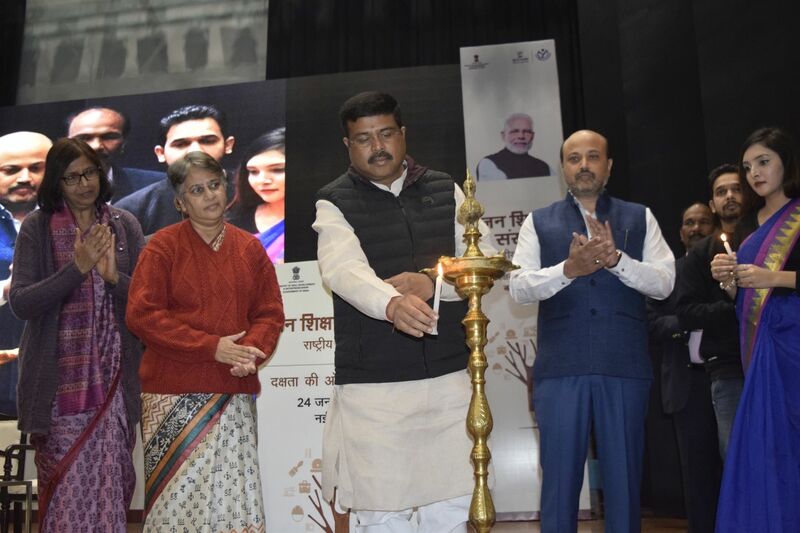 By bringing them under the aegis of the national skill framework, the agenda of today’s event was to align all skilling activities to a common cause of skill development at the district and gram level. “Today, out of the 247 active JSS, we already have 43 JSSs established across 42 Aspirational Districts identified by NITI Aayog and we will soon be introducing a few more in the LWE regions to promote skill development of the youth in the region and help them connect back into mainstream economy. I am positive of the change that the JSS will bring to the ecosystem,” she further added.